In February, T & I decided to go on a trip together. We started planning it in October, while we were deciding whether to attend our friends wedding in Jamaica or not…. After a lot of thought, we decided not to go & instead go on a two week ski vacation in our beautiful country of Canada!! T is a very avid skier, & I just love to watch him. He gets beyond excited, is sooo happy & I swear he can’t feel sore muscles as he can ski on forever!!! Meanwhile, I am parked half way on the hill, with a calf cramp, sweating, trying to catch my breath, while crushing a cold BudLight!! Okay, okay I’m not that bad… but I am thankful I worked out the two months prior… my legs & bunged up knee held up like a champ. & T is way way more patient than me.. he waits.. gives me pointers & keeps pushing me to my limits all the time. Love him! Anyway I suggest everyone do a trip like this. It was by far one of the best times of my life!! We spent two weeks on the road, skiing, eating, drinking, touring & meeting new people. I could write on forever about this trip… but I am going to keep it short & sweet & let you know of a few of our favorite places to stay, eat & ski along the way! 1) Ymir Hotel – small local hotel on your way to Nelson. They had a jam session at 5 o’clock while we were there & I must say these old timers knew how to play & sing! We loved it! 2) WhiteWater Ski Resort – This was my favorite hill! It was a blue bird day… lots of snow.. lots of backflipping by T! Plus they have an unreal cafeteria there… high class food! Back Side of Granite Mountain.. Its called Paradise! That it was! While staying here be sure to walk downtown (its cute!) & eat at a place called “The Garage”. Our meal there was sooooo delicious! Great portion sizes to for your price! 4) Agassiz, BC – As we drove out of the mountains…. did fish hook corners up & down through the hills.. we suddenly popped out to humid, plus 10 degree GREEN weather. We couldn’t believe our eyes.. it was gorgeous! 4) Vancouver Aquarium – So Fun! Stanley Park was very green, & quiet… we even seen a raccoon exercising on the walking path. So all sorts are welcome. 6) Whistler, BC – WOW!! Is all I can say. This place is unreal… The mountains are HUGE! I was completely speechless here. They had by far the best snow of our trip. There were people, kids, families, teens everywhere. It was sunshiney, warm, gorgeous! Our favorite place here to hang out was the Dubh Linn Gate… Irish Pub. After skiing we stopped here for a beer. The band was already playing. So we decided to head back, shower & get our little butts back to this pub for the night! We had a blast.. the two men playing on stage were so talented & entertaining.. the place was packed!! Its a MUST to stop in here! 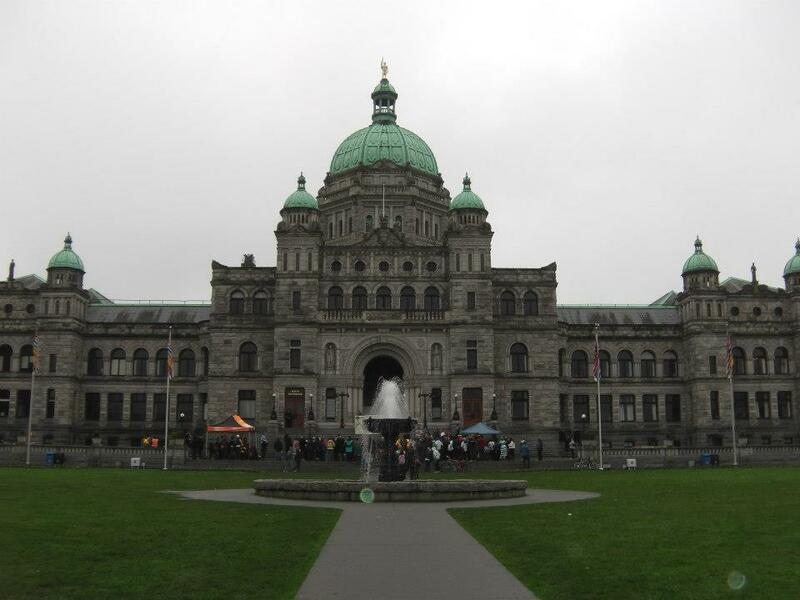 7) Victoria, BC – This place is so beautiful, relaxing.. just what we needed in the middle of our trip. 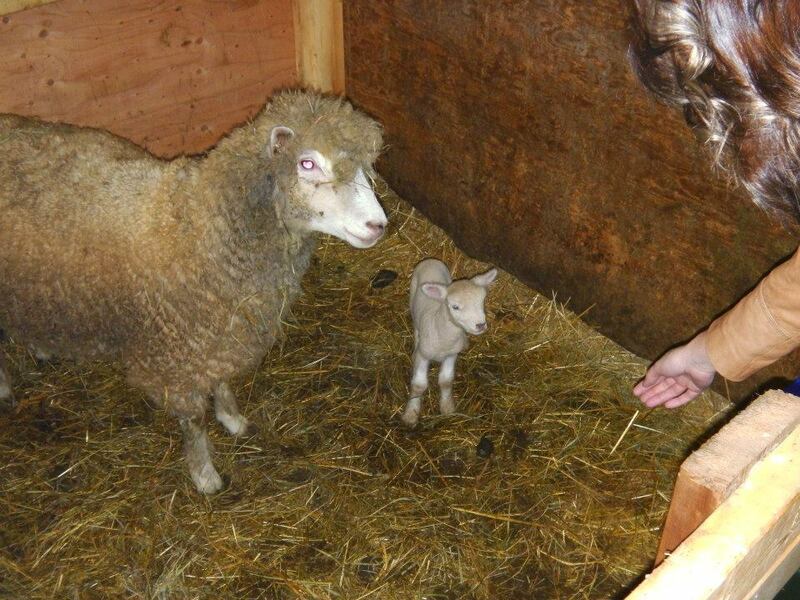 We had everything planned up until this day… With the last week open to do as we wish. After spending one night at this little bed & breakfast we woke up & booked one more night. They are located on a walking path, so for the two days we were in Victoria we never drove once. We walked all the way around the harbor to downtown & back! Which was a good idea considering how much we were eating & drinking! When we got to Victoria, we just so happened to stumbled up TROOPER playing a free show along the Harbor.. which we followed with a super tasty seafood meal! 9) Revelstoke, BC… This town is new to the ski scene.. I believe the hill opened in December of 2007. It has grown to be very popular in the last 6 years! Definitely a great place to ski/board & they always seem to get a tonne of fresh Powder!!! Plus it is a very cool little town. We went to “The Last Drop” for wings & pints of beer with some of the local ski “bums” that we knew. There was a very cool band setting up there as well right when we were leaving. 10) & Lastly…. Kicking Horse Mountain Resort… This is T’s favorite mountain… when he says lets go skiing.. this is the Mountain he is talking about. Its a beautiful hill.. beautiful area.. everyone should make their stop here. 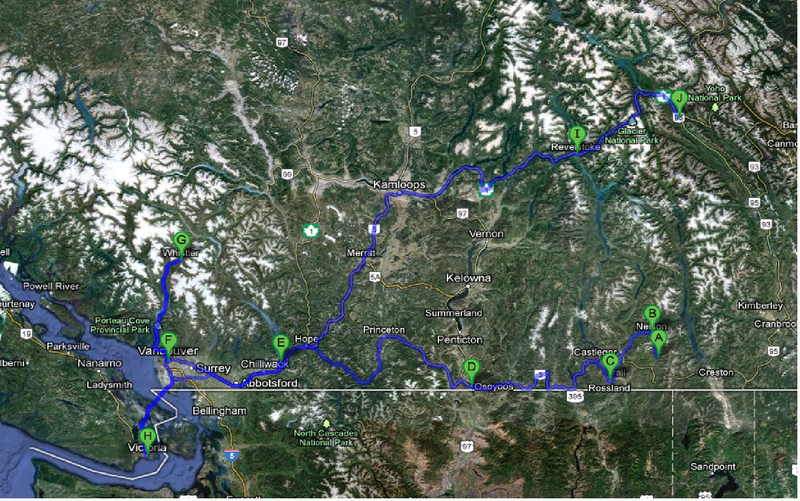 Plus Revelstoke is just an hour & a half away. By this time our legs were made of jello… we just goofed around.. T attempted more backflips.. & I was attempting to “bunny hop” jumps he scouted for me.. It was the perfect end to our trip! Hope these little tid bits of information help you along the way. EVERYONE we dealt with on this trip were amazing! We were so lucky we didn’t have one bad day… time.. nothing. Travel, Love, Laugh & Have Fun Dammit! This world, never mind our own country, is filled with amazing sites, & amazing people… how lucky are we.. take advantage!